Mingana Syr. 146, ff. 45-65 (Cat., vol. 1, col. 328). The beginning is missing. It is worth pointing out that Mingana 146 also contains a rather obscure story called “The Persian King and his Ten Viziers,” another copy of which follows the Sindbad story in the Mardin manuscript; Mingana gives no incipit, but the title matches the Mardin copy exactly.The rest of the Mingana manuscript, perhaps from around 1700, contains, incidentally, very many hagiographic and legendary stories also known in the Forty Martyrs collection. Mingana Syr. 463, ff. 79r-121v (Cat., vol. 1, col. 828). 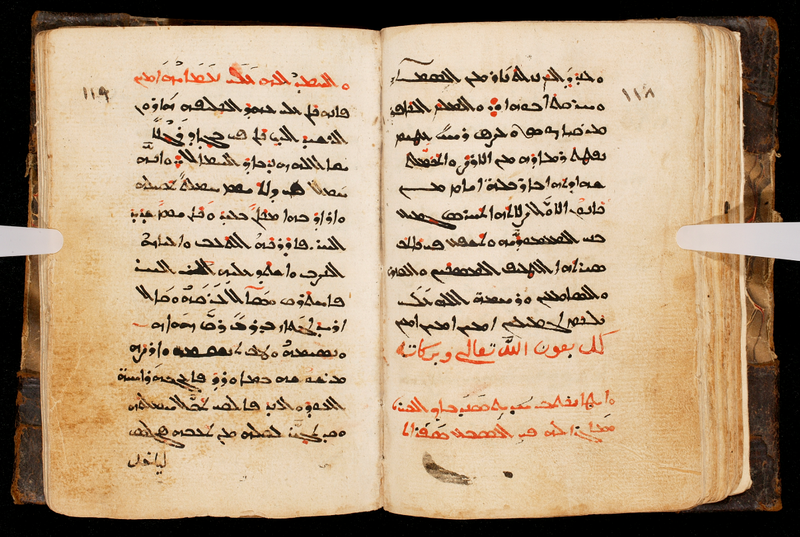 The manuscript is dated May 2130 AG and 1234 AH (= 1819 CE). Mingana again gives no incipit, but the title of the rubric matches the Mardin copy above exactly. So this makes four (at least partial) copies of Sindbad in Garšūnī, and there are almost certainly more in HMML’s hitherto uncataloged manuscripts, if not elsewhere. I stress that all four of these copies are not incorporated into the Alf Layla wa-Layla “cycle” (right word? ), but isolated and copied with saints’ lives and other stories. There is literary and textual investigation to be done here, but it will have to wait for another day.